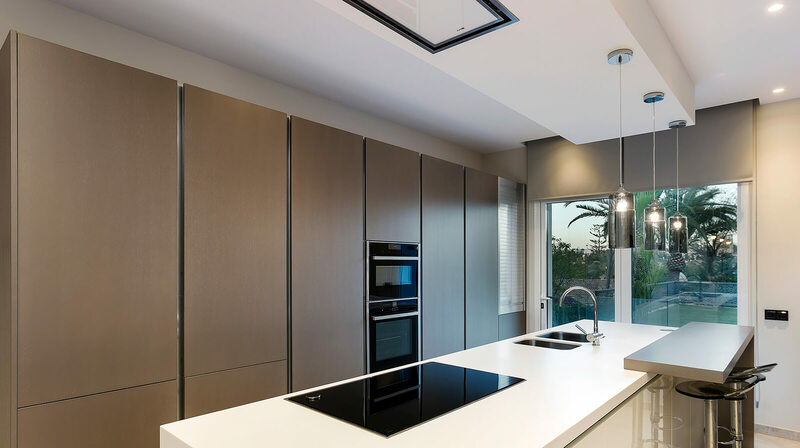 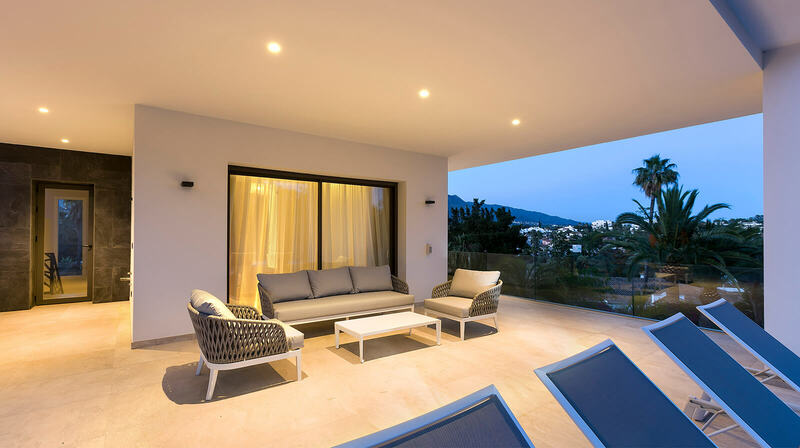 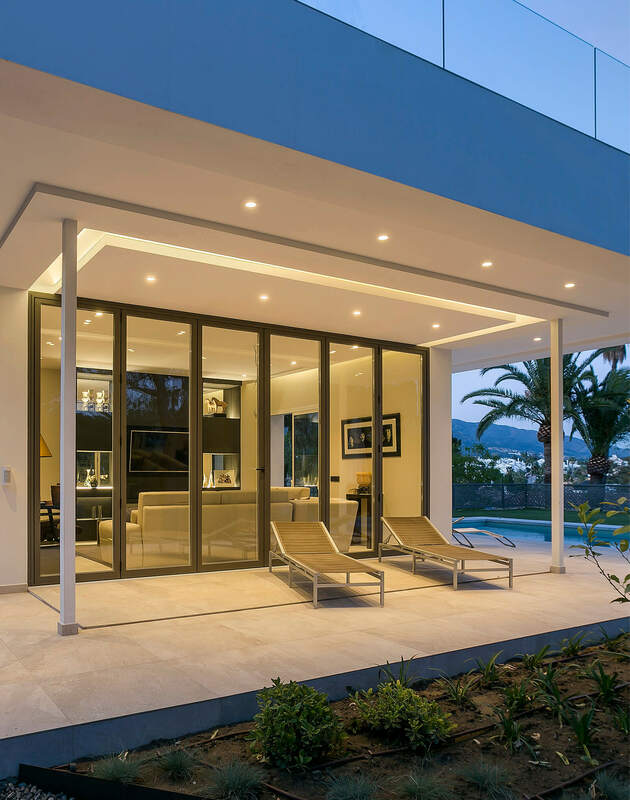 A new build villa in Las Brisas, Marbella. 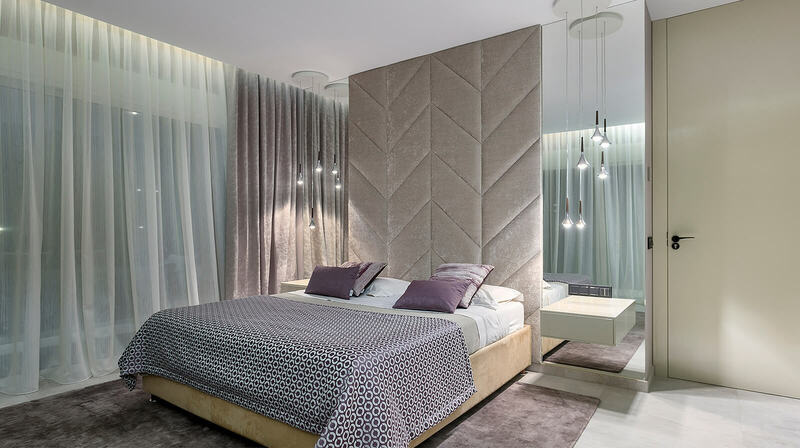 A stunning symbiosis of function and comfort ready for day-to-day living. 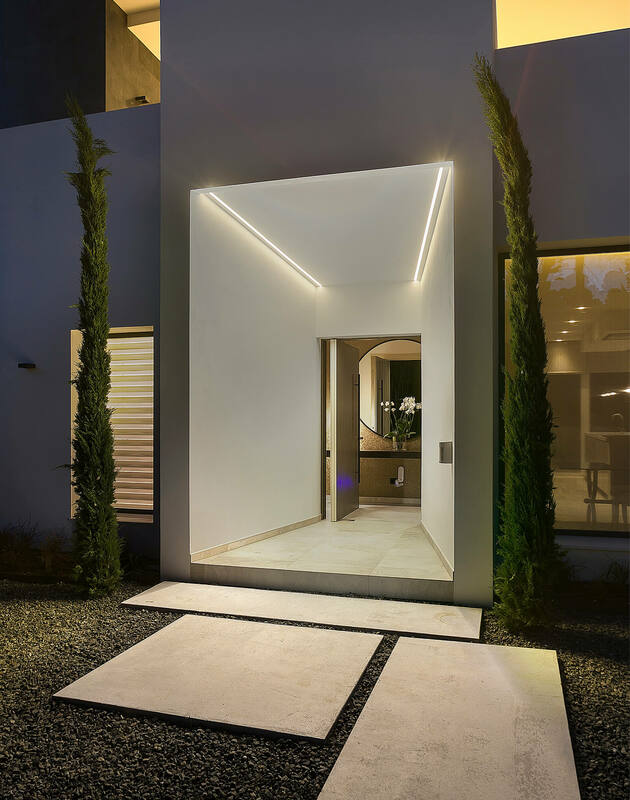 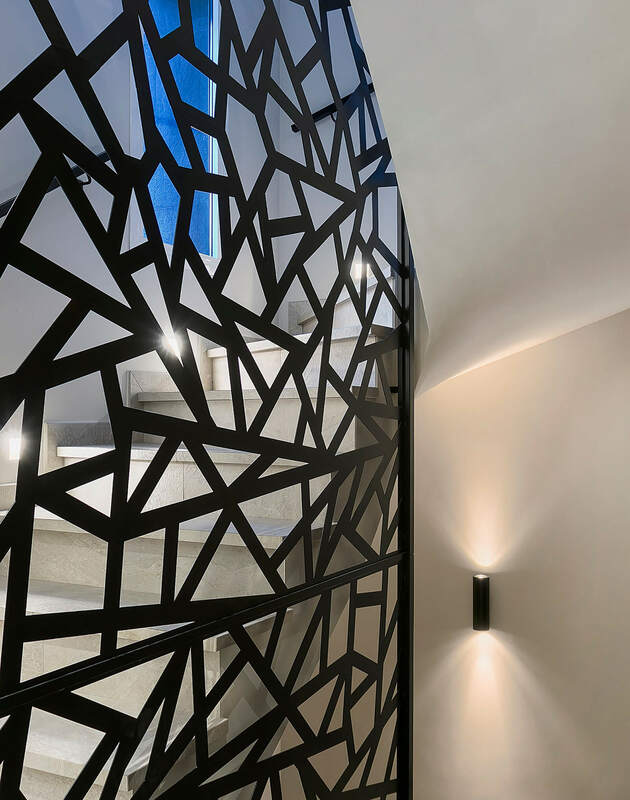 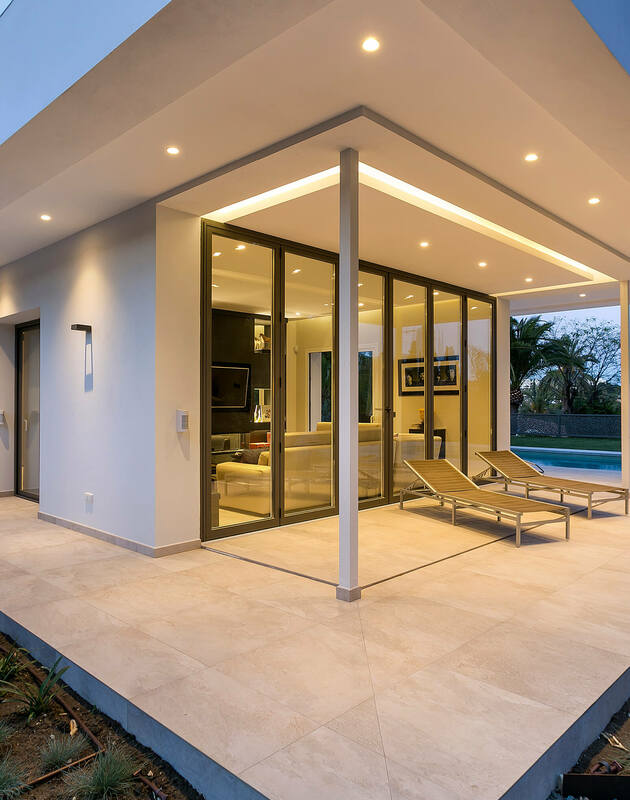 Minimal structural visual lines give this luxury home a sleek, yet polished look, while wall separations add structure and create intimate enclosures. 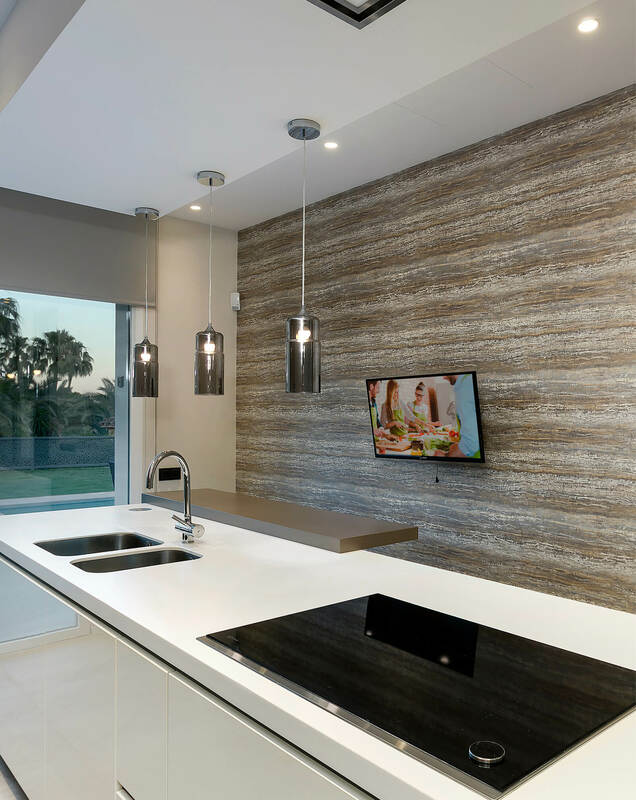 Elongated spaces and high ceilings make for an inviting open living area that centers around the bespoke TV unit. 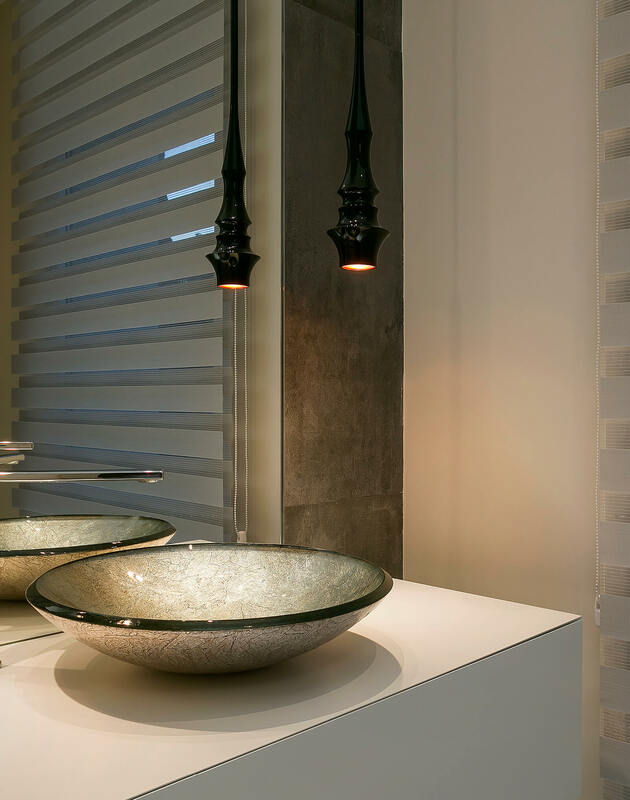 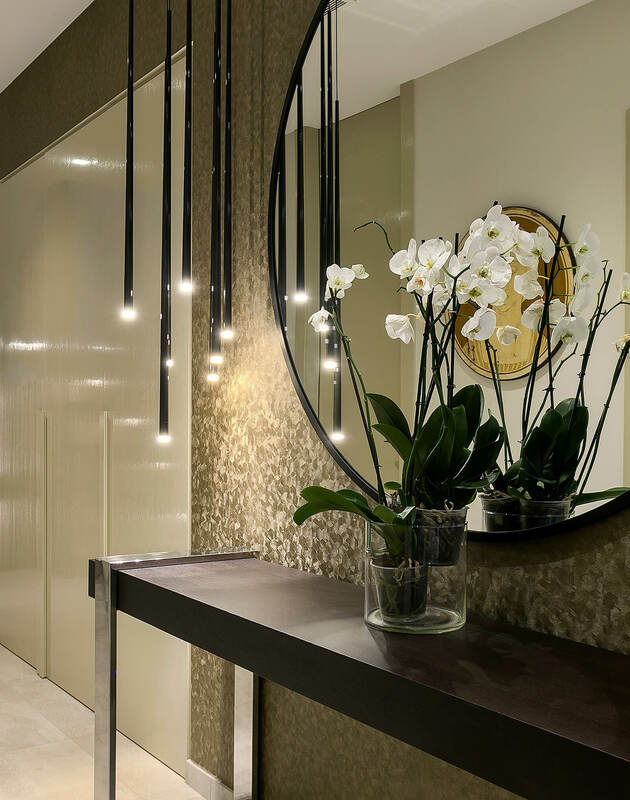 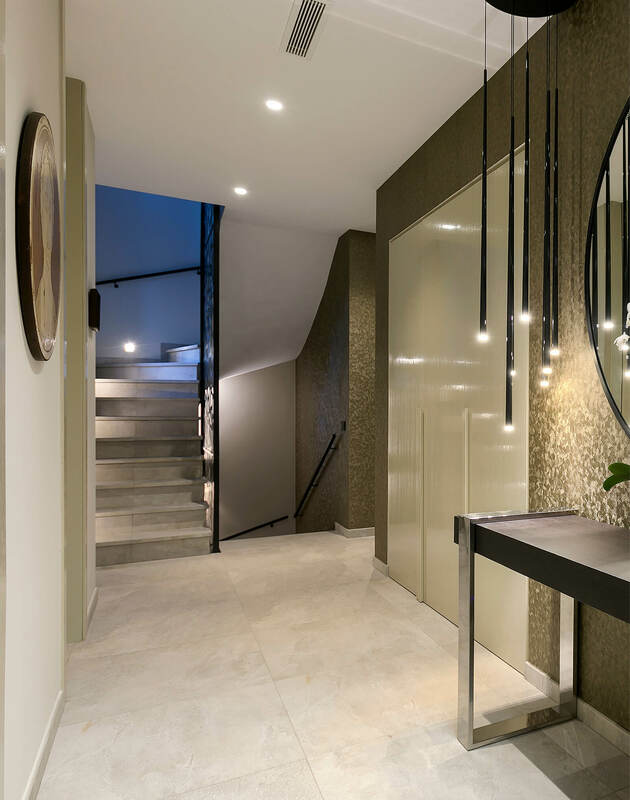 Suspended lighting (pendant luminaires) are found throughout the house, and add depth and mystery, accentuated by the use of hues of greys, muted gold and touches of metallics.